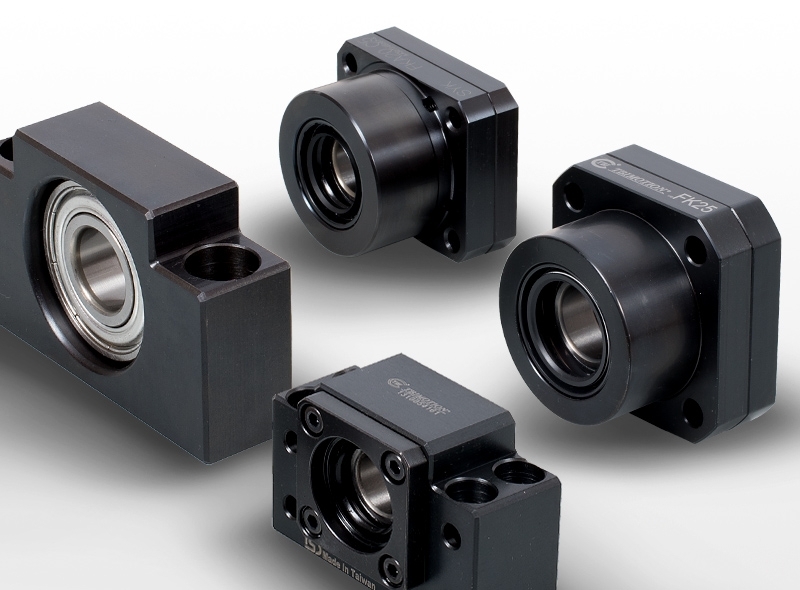 Servo motor brackets and couplings for easy connection of ball screw, coupling and motor. 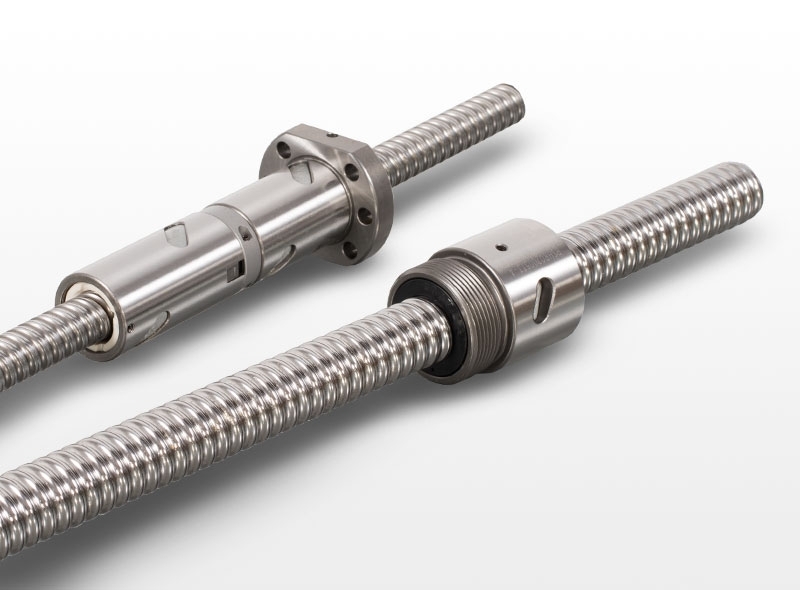 Precision rolled ball screws for CNC machines and other automation applications which require precision linear motion. Ball screws are available in two lead accuracy classes C5 (0,023/300 mm) and C7 (0,050/300 mm). Recirculating ball nuts and screws are available with normal or big lead for high-speed applications. 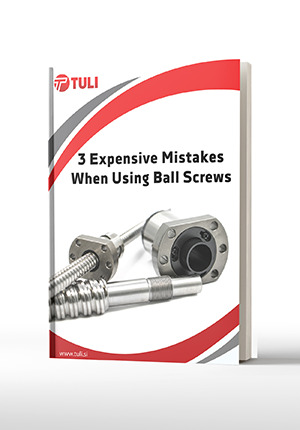 Ball screws can be cut to length and end machining of the screw can be done to fit ball screw end support. 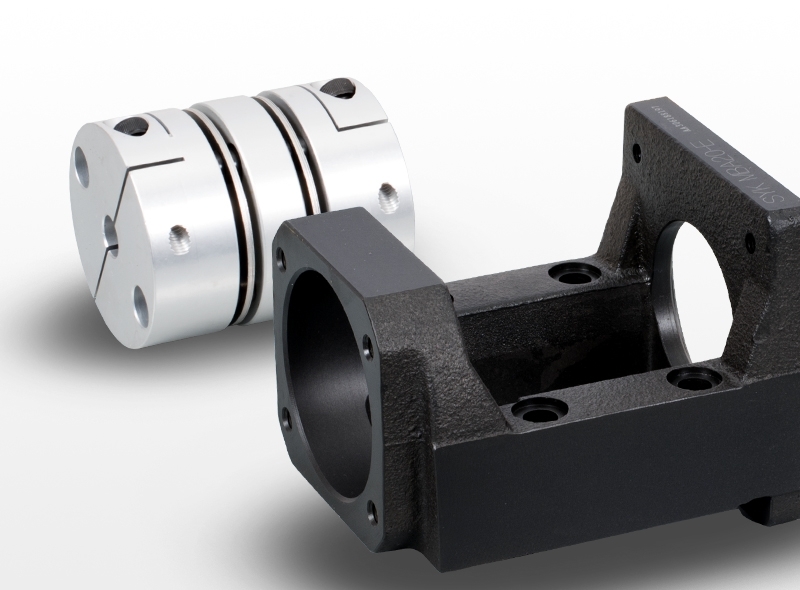 End supports with bearings for ball screws are available for vertical or horizontal mounting.